Previously, I introduced the idea that the $1000 genome has not been achieved because it is defined in simplistic terms that ignore many aspects of data completeness and verification. In that analysis, I cited a recent perspective by Robasky, Lewis, and Church  to present concepts related to the need to verify results and the general ways in which this is done. In this and the next few posts I will dig deeper into the elements of sequence data uncertainty and discuss how results are verified. Agarose gel of DNA stained with ethidium bromide. By Mnolf, wikipedia. 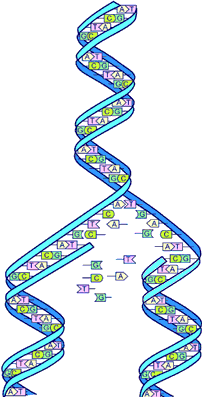 First, we need to understand that sequence data always contains errors because the order of bases in DNA molecules are determined through indirect means. Since molecules are too small to be easily visualized in direct ways, we need to detect their presence by creating signals that can be amplified and measured. 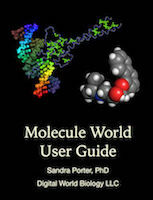 A simple way to create these signals is to increase the numbers of molecules that are measured. But, we can also increase the sensitivity of measurement through dyes and other means. For example, when restriction sites are mapped in DNA, DNA molecules are digested with a restriction enzyme and the resulting fragments are separated by electrophoresis in agarose gels and stained with ethidium bromide to visualize the bands by fluorescence under ultraviolet light. We can detect approximately 10 nanograms of DNA or approximately nine billion molecules of a 1000 bp fragment because each 1000 bp molecule can bind several hundred molecules of ethidium bromide, which fluoresces 20 times brighter when it is bound to DNA. If the DNA molecules are labeled with radioactive chemicals, sensitivity can be increased further. This more sensitive detection method picks up the presence of uncut molecules, and shows us that not everything gets cut as expected. Chemistry is never perfect. Moreover, as signals are amplified, or detection becomes more sensitive, artifacts due to contamination and statistical variations in chemical processes create noise that can mask true events.